Marcus Crowe is a failed writer who struggles with reality. His girlfriend, Jill, is desperate for Marcus to pursue a proper career. Broke, the couple find a perfect room to rent owned by an old couple, Henry and Josephine Baker, who take a keen interest in the young couple's lives. They are shocked when told the old couple have a new born baby. Stuck in the house 24-7 Marcus spirals into paranoia… and believes the old couple is spying on them. 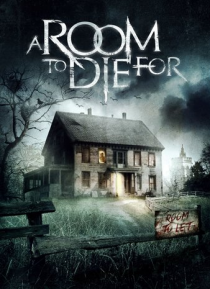 When he finds the horrifying truth behind the baby, the old couple's real reason for renting the room is revealed.